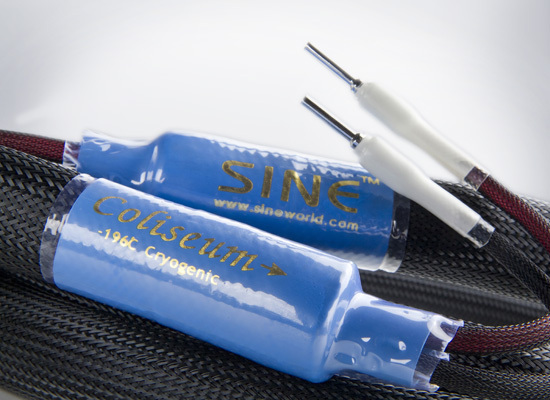 Sine is manufacturer of beautiful high-end cables and power products. What makes these products special is their cryogenic treatment. The products are exposed to a temperature of -196°C for 48 hours, which changes the structure of the materials on molecular level. Because of this, resistance is reduced and the conductivity is increased. This changes your listening experience noticeably! The Sine cables are all equipped with either a gold or a platinum coating. This, in combination with the perfect grip of the plugs, minimizes the transition resistance. Aside from power cables, audio cables and interlinks, Sine also manufactures heavy, massive aluminium power strips and powerconditioners. Not all of Sine’s power products are available to Europe in the Schuko edition yet, but that is currently being worked on. The quality of all Sine-products is unmatched within their price range.